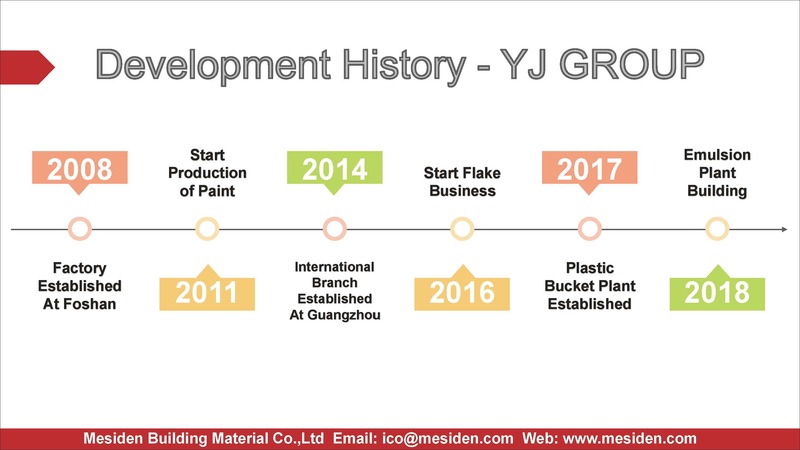 Mesiden Building Material Company is an international manufacturer who majorly produces and sells Tile Adheisve, Tile Grout, Waterproof Coating, Emulsion Wall Paint, Granite Texture Paint and Raw Materials for Stonecoated since 2008. 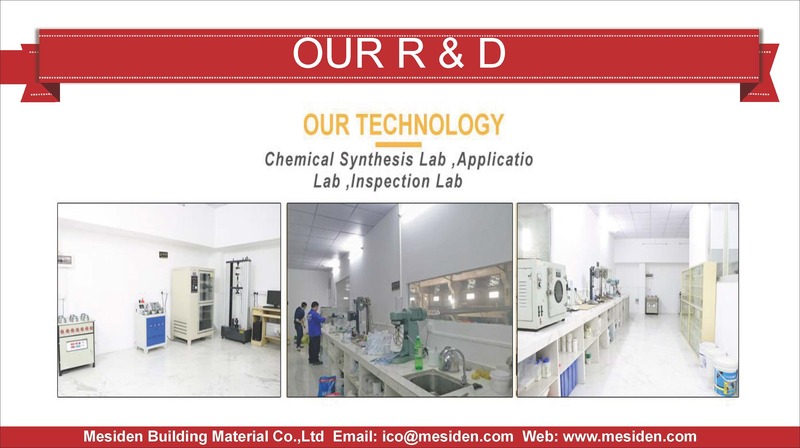 About Mesiden, our continuous commitment and dedication to quality, performance and service have made our products widely sold abroad. We have been developing and providing suitable premixed construction materials for wide applications to common structures as well as tailor-made products to suit for customers' special requirements of extraordinary applications. 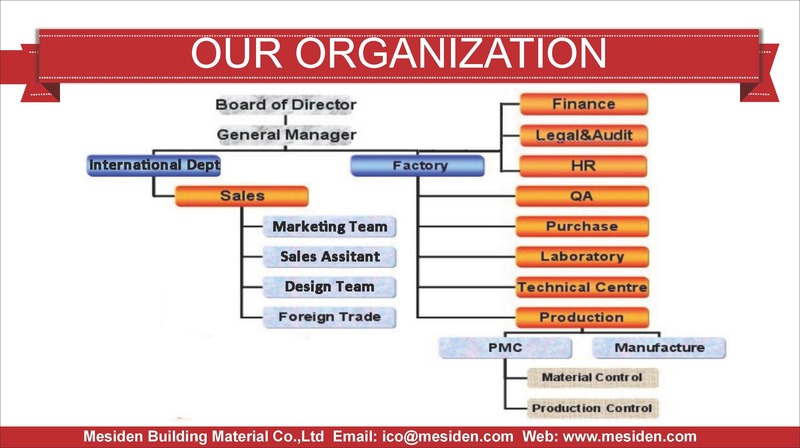 Mesiden Building Material Company is composed of R& D center, Manufacturing Center, Quality Control Department, Market Center and International Trade Department. 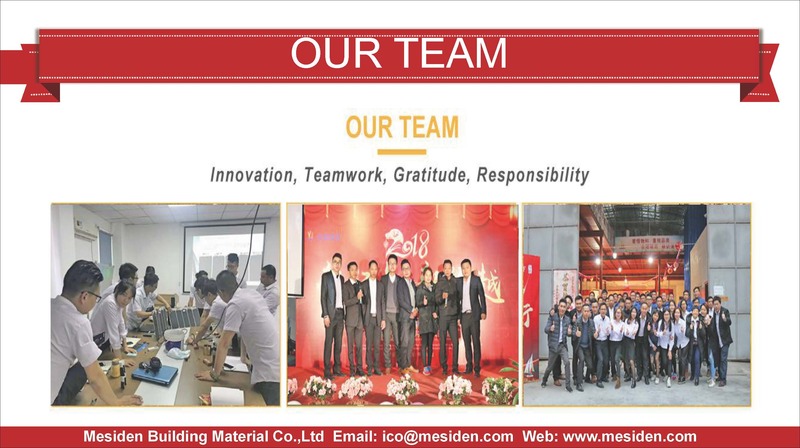 Mesiden Buidling Material Company is performing as a one stop building material manufacturing supplier for ceramic tile adhesive, porcelain tile adhesive, marble stone tile adhesive, stonecoated adhesive and waterproofing coating and different styles of granite wall paint. As a manufacturer of building material, we always have our eyes on global building materials developing under the purpose of offering our customers the most security and safe building material products. Aiming to offer our customers the best and security products, we take part in different fairs both in domestic and the world, such as Canton Fair Show, and different shows held by different countries. In the year of 2014, we attent the fair in Indonesia, and in the year of 2015, we attent the show in Nigeria. We wish to meet more and more friends and customers. And all our products has complied with the requirements as per EN Standard and passes all tests required for all our products. And we also have help to issue a series of clearing certificates for our customers so as to gurantee the smoothness of clearing of our customers.